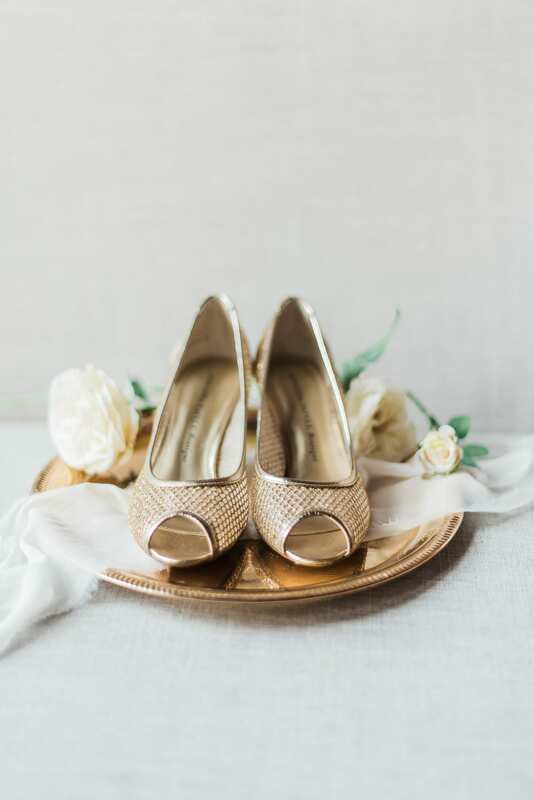 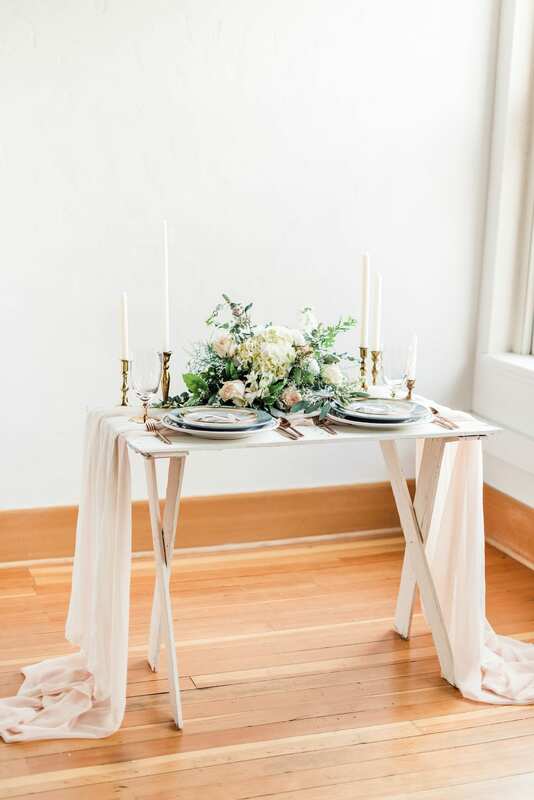 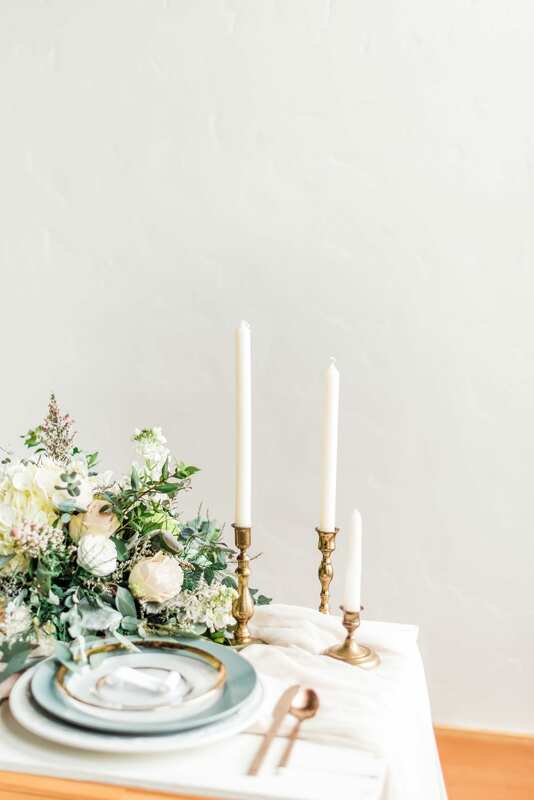 Natural lighting, brass candlesticks, gold details, and vintage pieces are the center of this shoot, designed by White Aspen Creative. 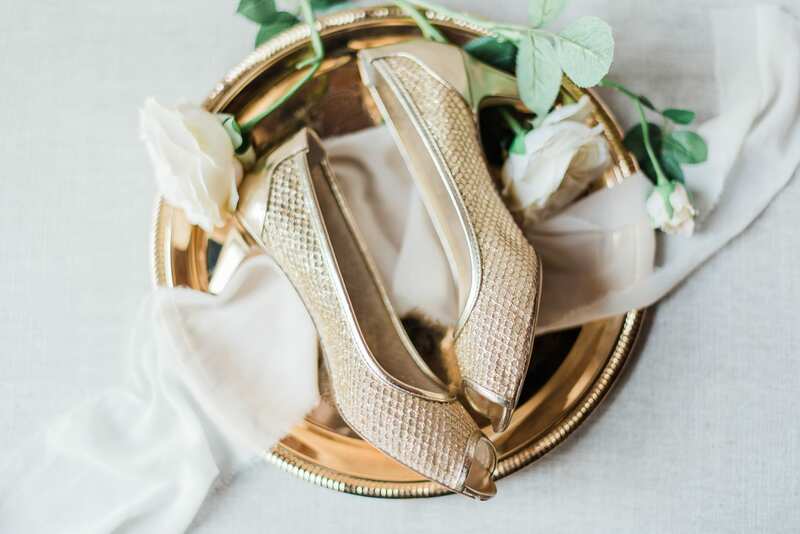 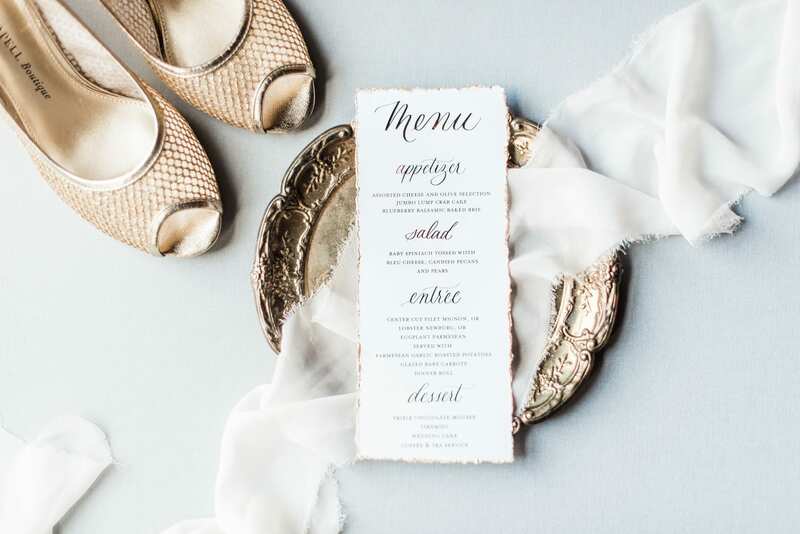 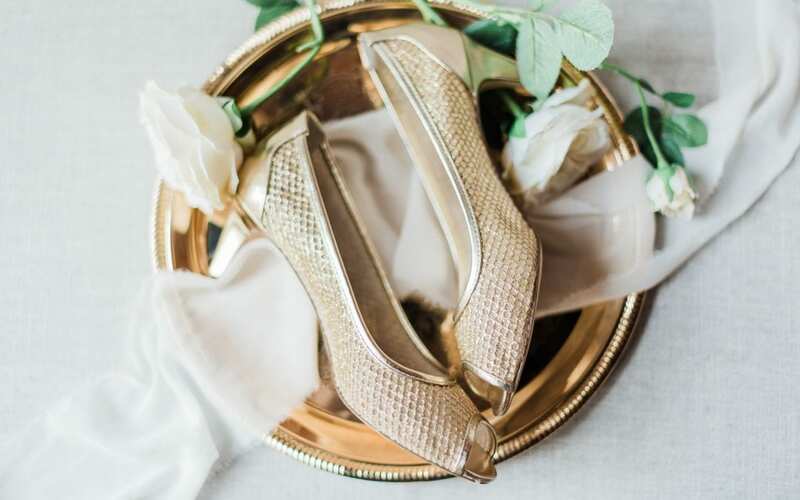 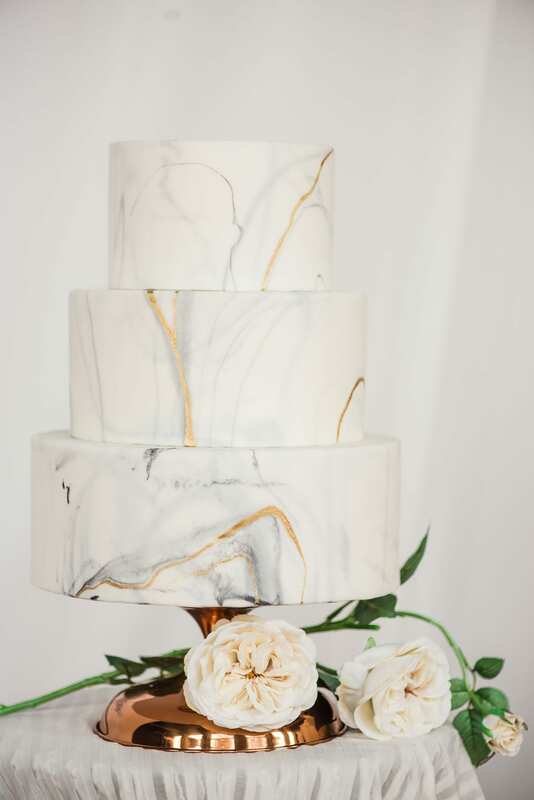 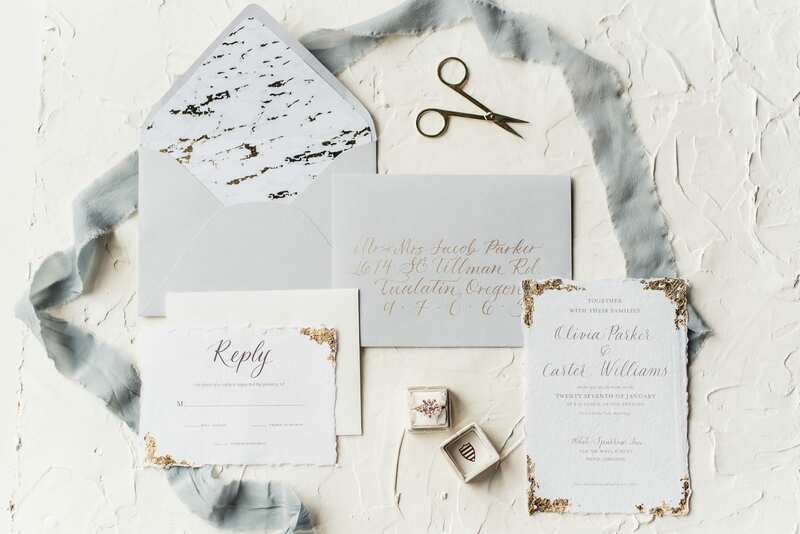 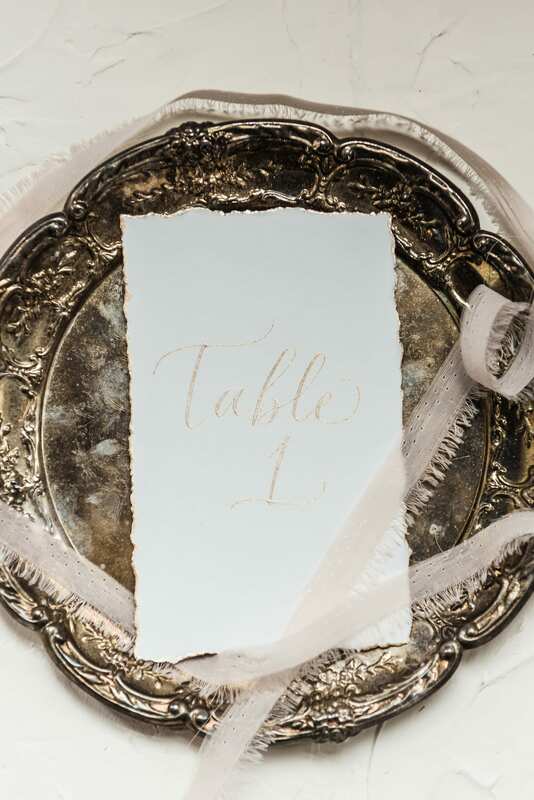 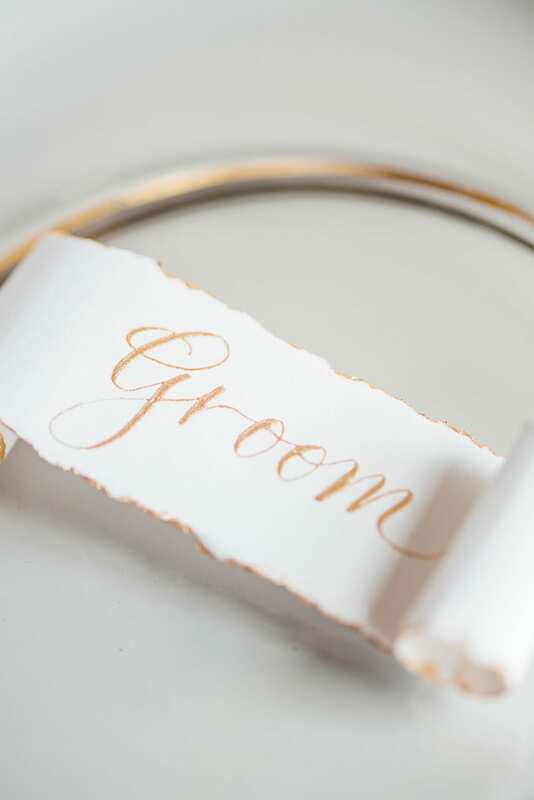 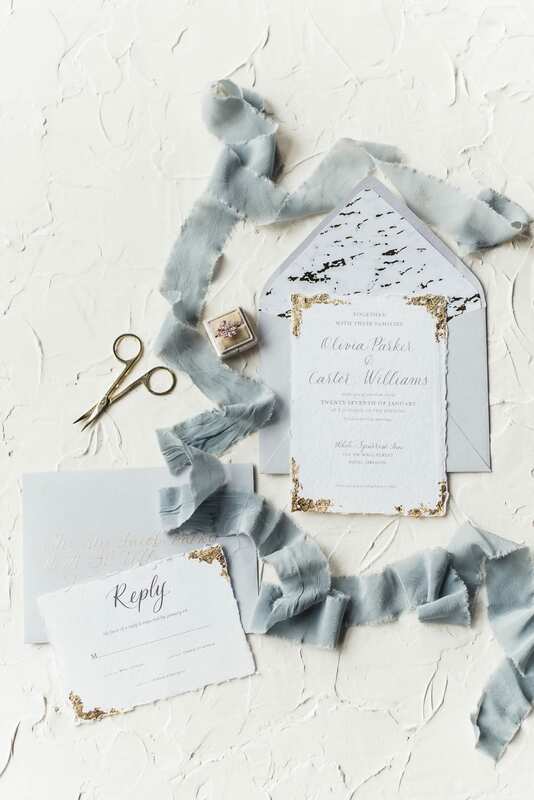 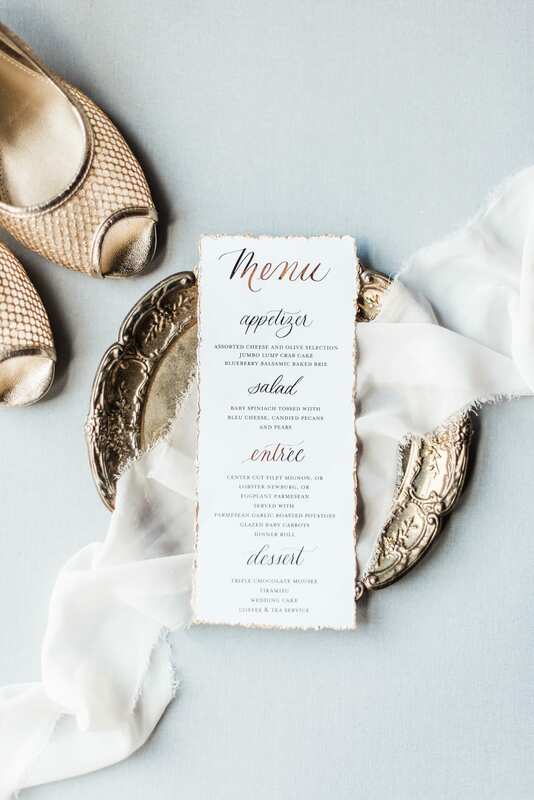 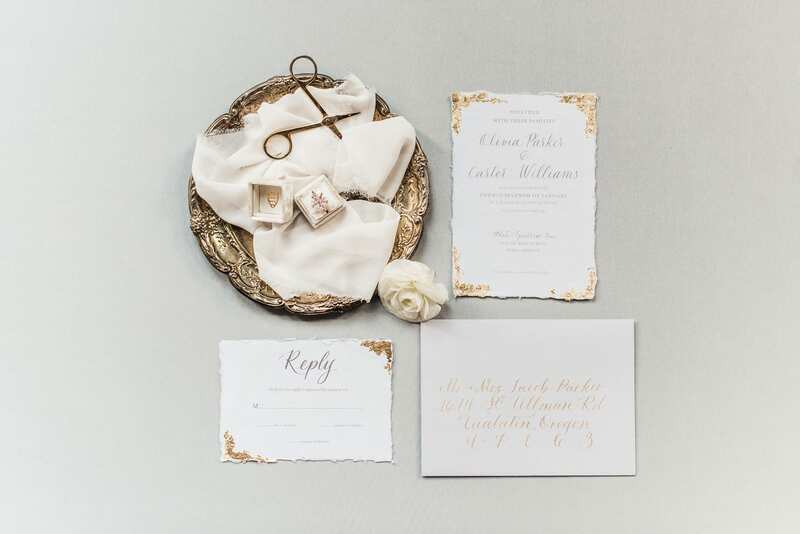 Guests get the first taste of elegance with white invitations with gold foil accents and delicate cursive. 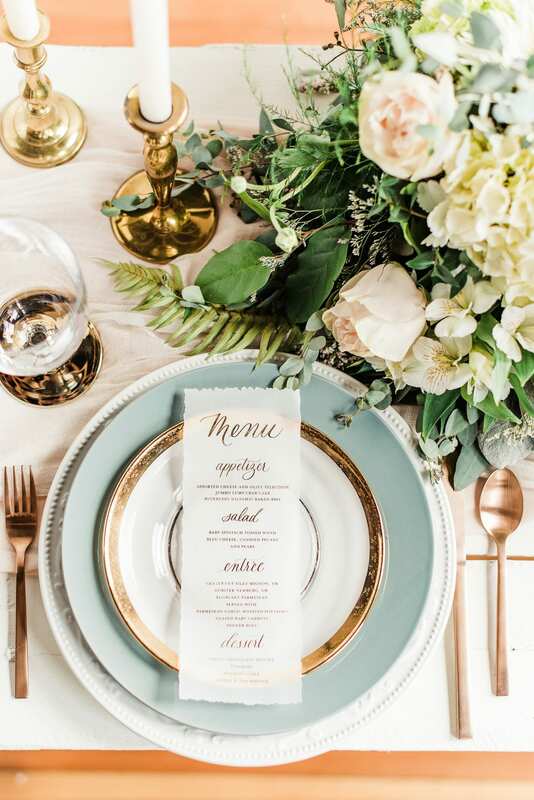 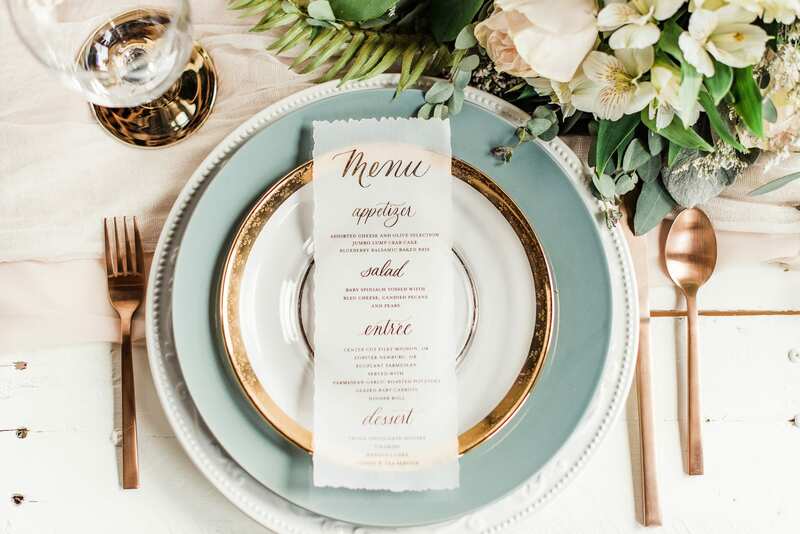 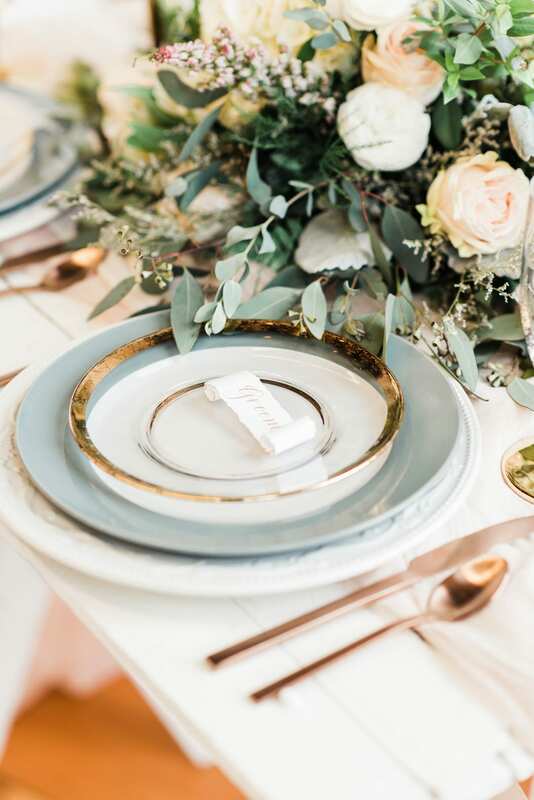 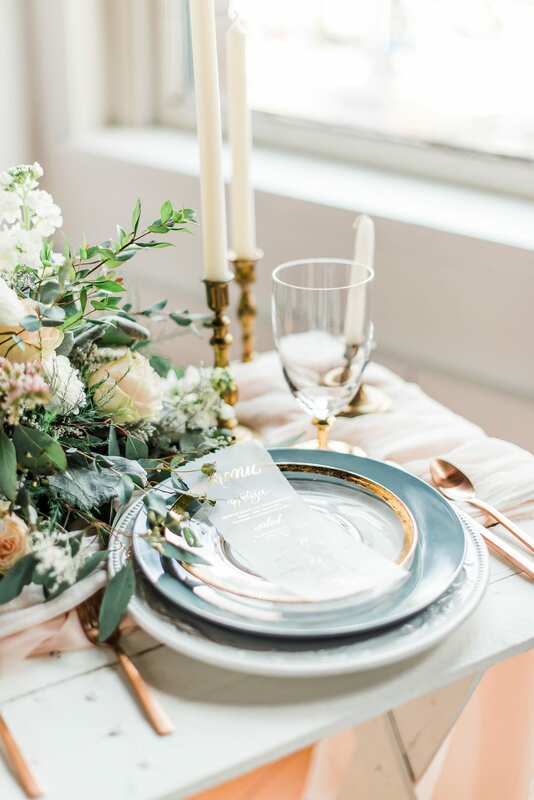 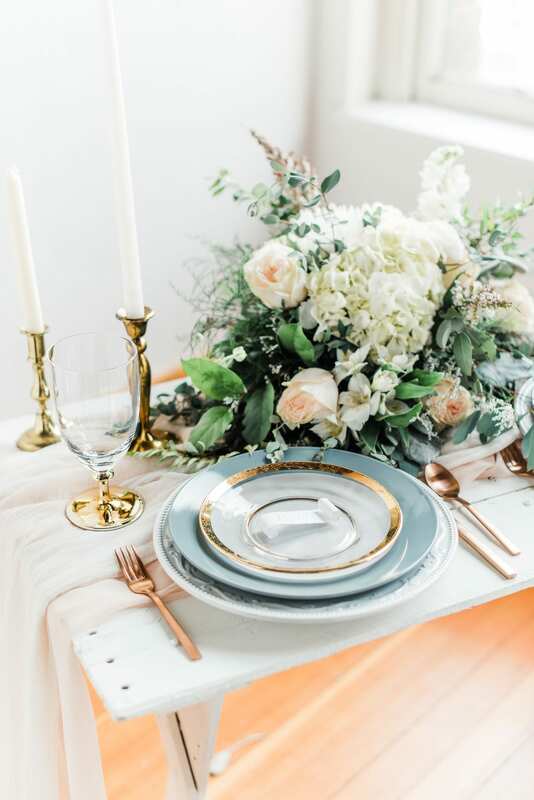 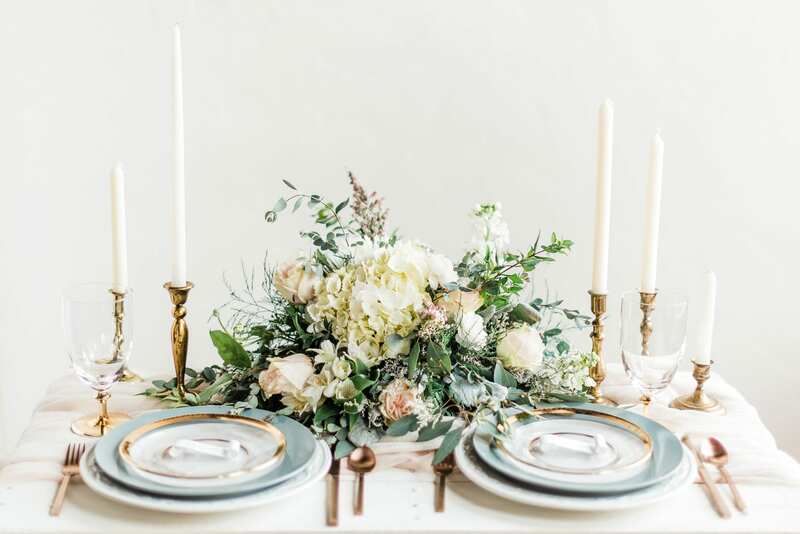 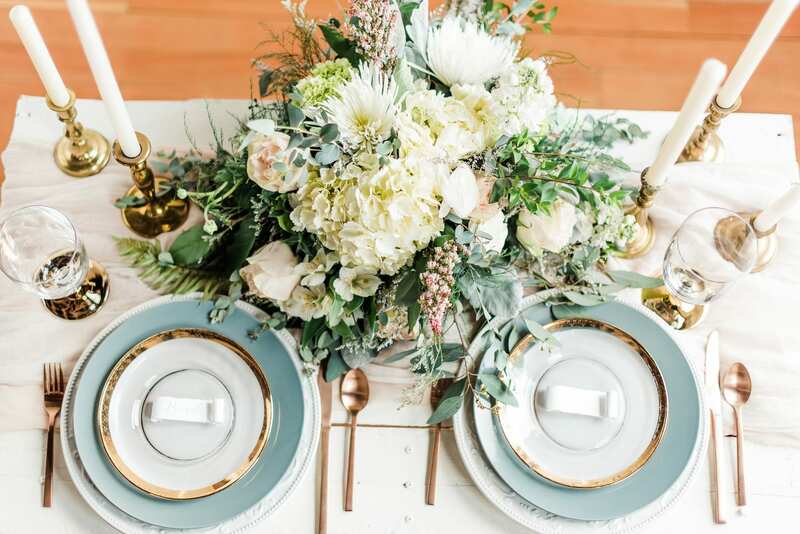 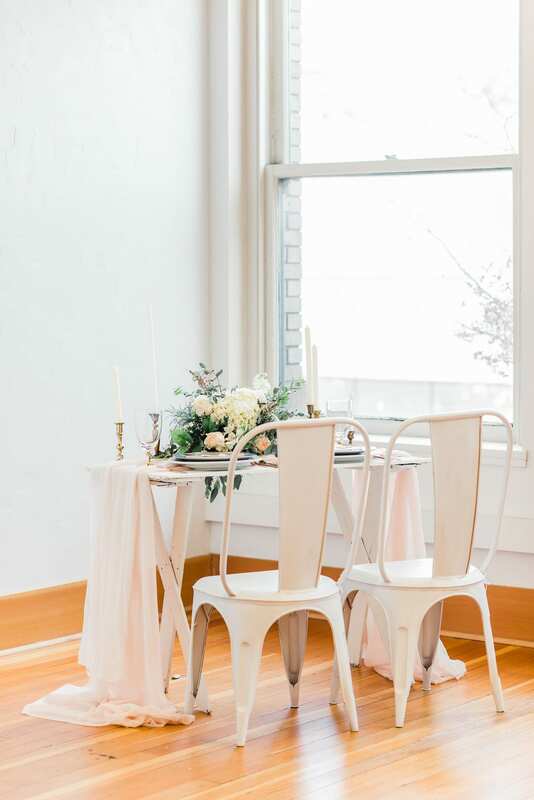 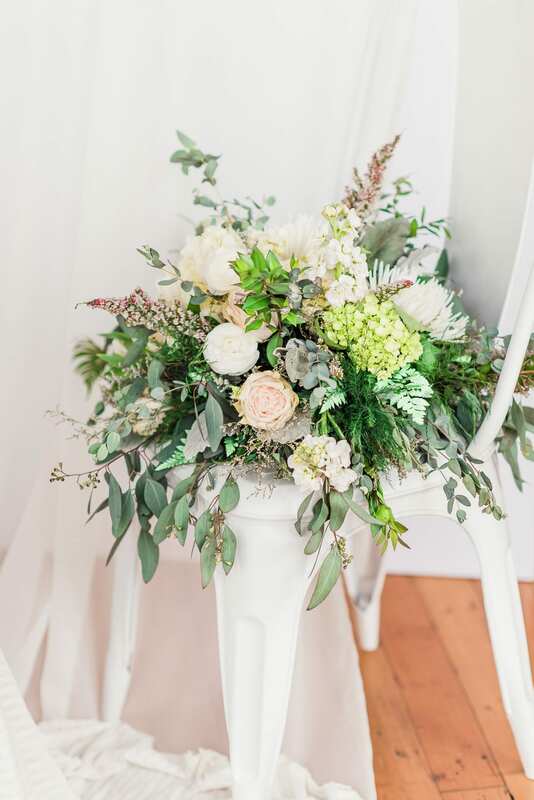 What makes this look so beautiful is its elegant simplicity: white metal chairs and a natural wood table are graced with pale blue plates and gold utensils. 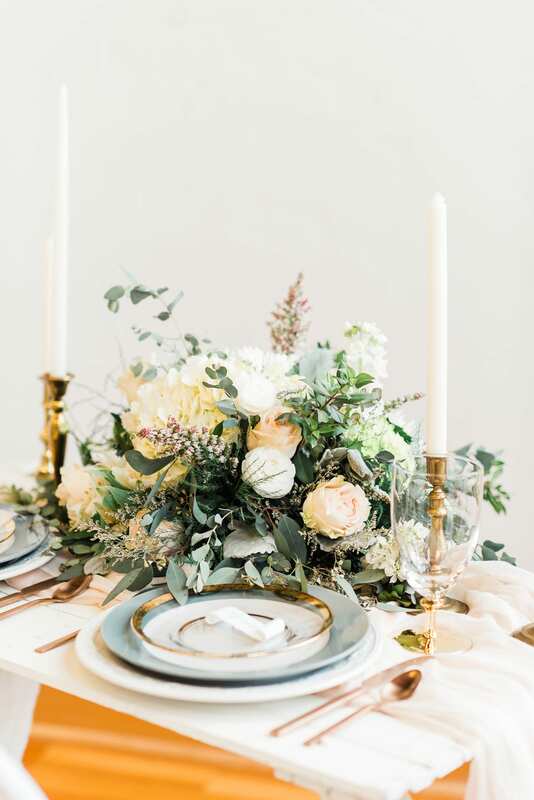 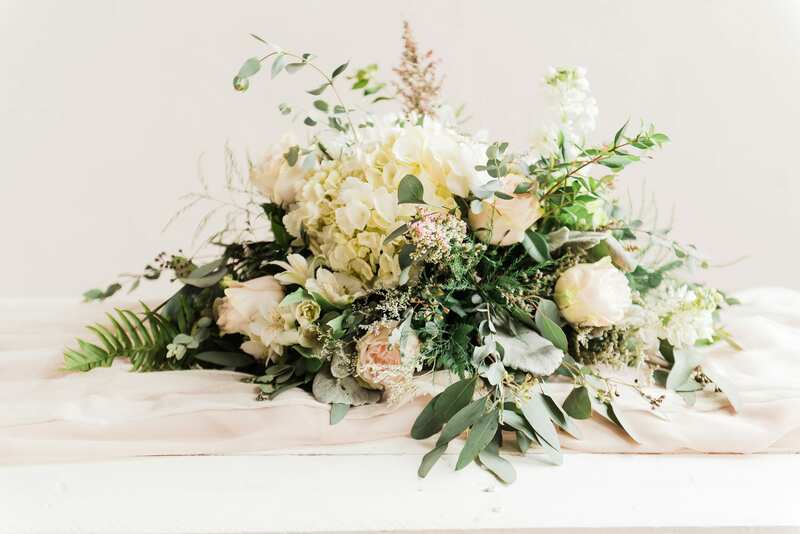 A sprawling bouquet of pink and white florals matches the romantic vintage touches of the brass candlesticks. 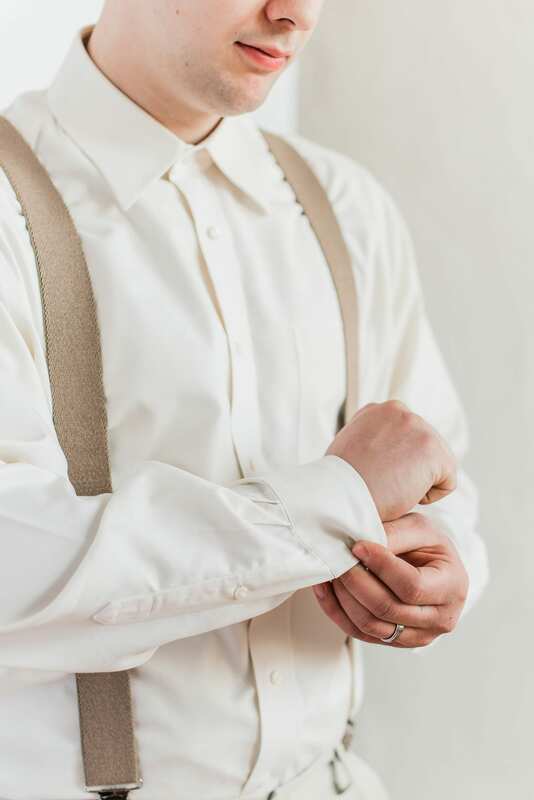 The groom wears a cream and tan ensemble, with suspenders, khakis, and a button-up dress shirt. 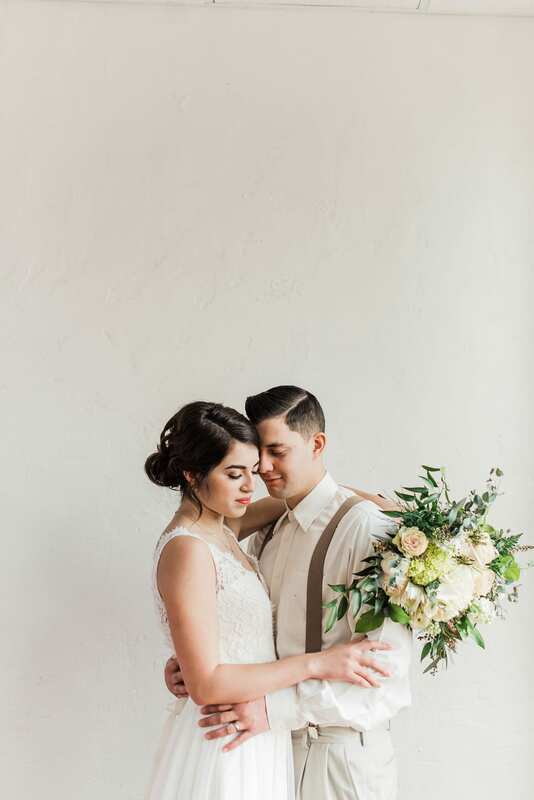 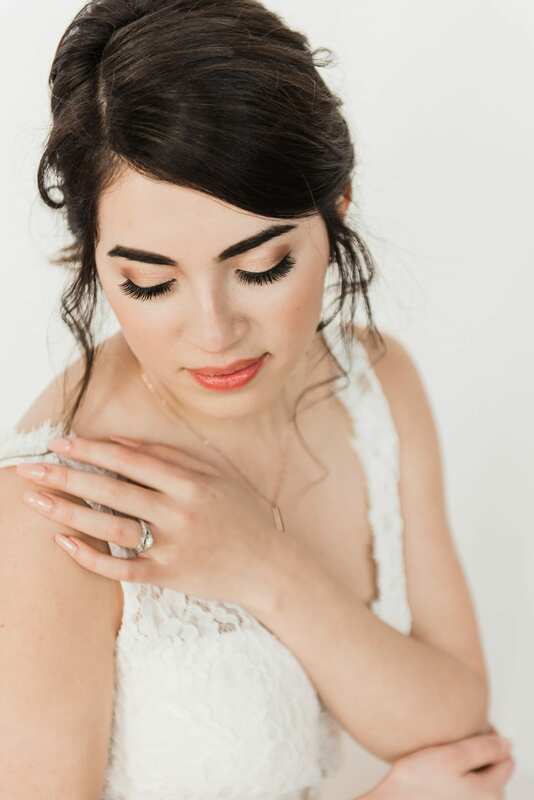 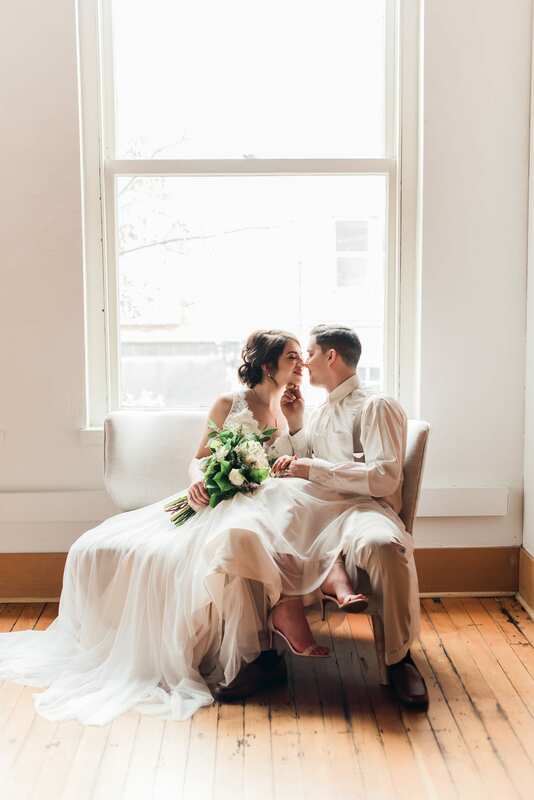 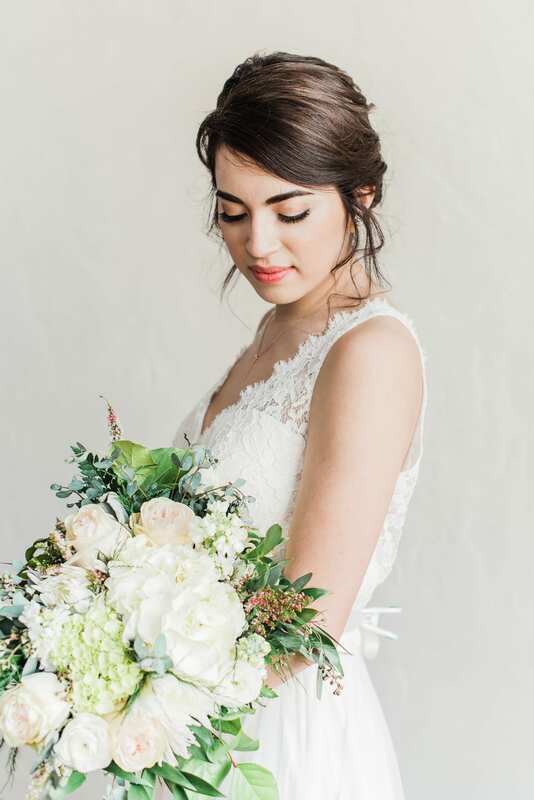 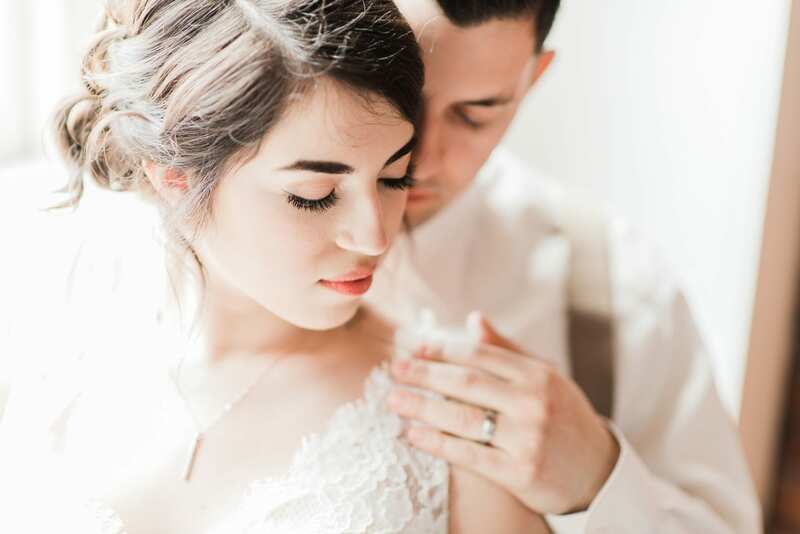 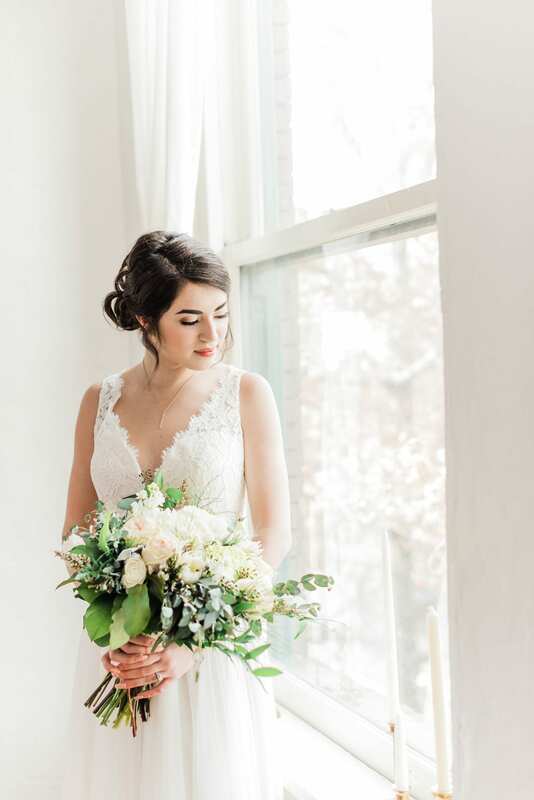 The bride’s attire is also elegant vintage: a slim A-line chiffon skirt is light and elegant paired with a deep v-neck lace bodice and ivory ribbon at the natural waist. 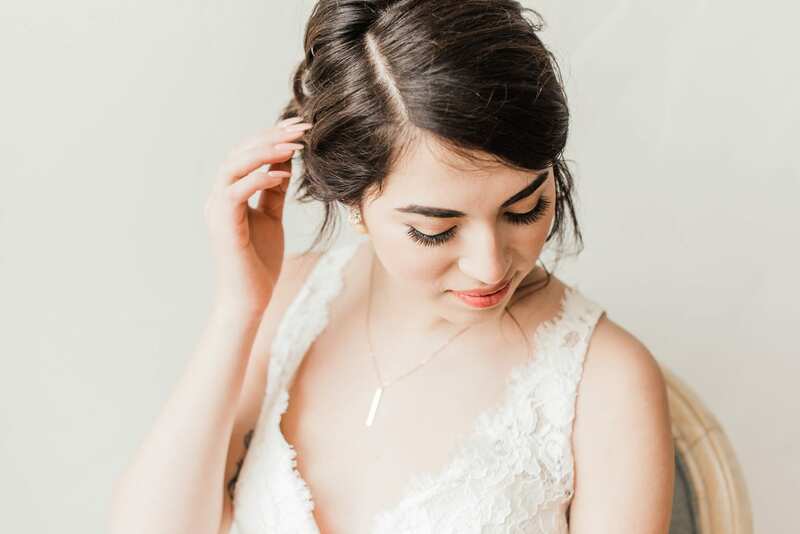 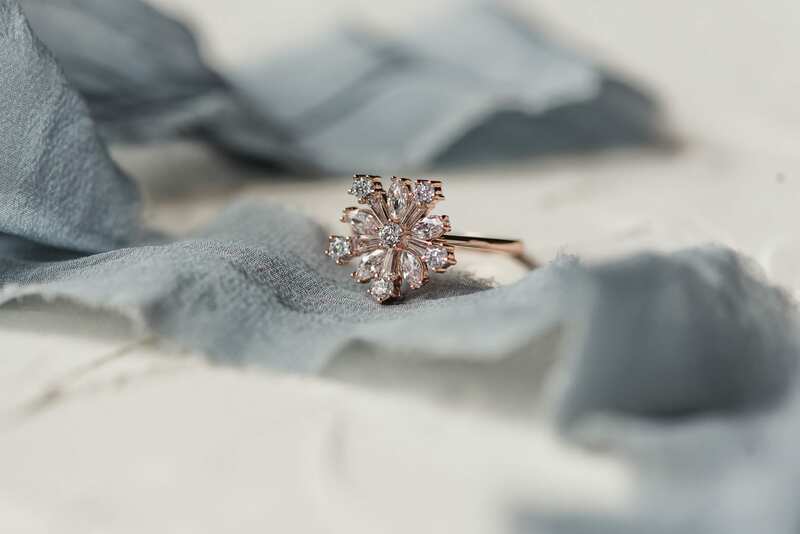 A simple silver drop necklace and an updo with loose curls completes her look.